A few days into our run, I received a singular Visitor, a man whose star was just then most Ascendant in the sky: Robert Burns, the Ayrshire ploughman-turned-poet. He arrived in fine fettle, in the company of Mr Creech, a local bookseller who had just then undertaken to publish a new edition of his Poems, along with a large gaggle of miscellaneous Followers, whose exact connection with the Poet was hard to Ascertain. They made, never the less, for a most colourful audience, and Sam at once arranged for them to be seated together, and issued tickets gratis, which would have offended those yet waiting to attend had it been any other person but Burns. The great poet himself, remarkably, seemed unaffected by this adulation: he retained a sturdy rustic dignity which seemed to regard all Praise as superfluous; his countenance possessed at all times a constant, even Temperament, and it was only in his eyes that there glimmered—or so I thought—an intensity of Feeling that belied his modest appearance and calm comportment. Truly, I have never beheld a pair of eyes such as those, before or since, and when—at the conclusion of my performance— we were introduced, I felt myself quite under their spell. We exchanged only bows and polite glances, but I am sure I was not alone in sensing a strange feeling of kinship between us, these two simple Country creatures whose capacity for Language was similarly made out to be some remarkable Spectacle, eliciting adulation that would somehow be lessened had we both been born not sons of Toil but to a gentler class. 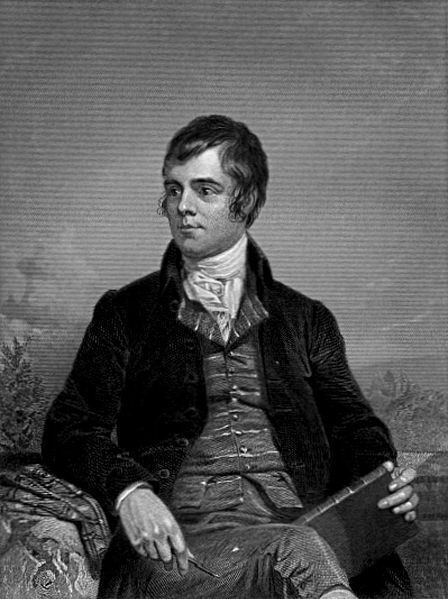 This has, since then, been interpreted as far from complimentary, by a great many ignorant and idle commentators who have supposed that for Burns to compare himself to Me was a reflection of a perceived insult, rather than—as I am sure it was meant—a most generous avowal of our abiding sense of kinship. Poor Burns: though the span of life granted Man is (generally) many times that allotted to Pigs, he had scarce another nine years of life, while I have lived to mourn his death, and regret the brevity, though not the brilliance, of his poetic Career. Alas, it was true: Burns died on 21 July 1796, at the age of thirty-seven, while Toby lived, as far as I his editor have been able to ascertain, at least to 1809 or thereabouts. Today, on the 257th anniversary of Burns's birth, let us remember them both with gratitude for the remarkable works they left behind.